Key Words: Road signs and signals, treaties, international system, road traffic. The system of road signs and signals now in force in many countries of the world, born of the need to create traffic rules adapted to the automobile, ascertained in late nineteenth and early twentieth century, is the result of more than a century of work carried out in international conferences and meetings. These works led to the conclusion of different international treaties that have consolidated the rules agreed by several States, to which other states have successively adhered. From the analysis performed arose the conclusion that, in each treaty concluded in matters of road traffic and signaling, States have made an effort to reach successively more detailed and more comprehensive agreements, regulating new situations in the best interests of road safety and to facilitate international road traffic. 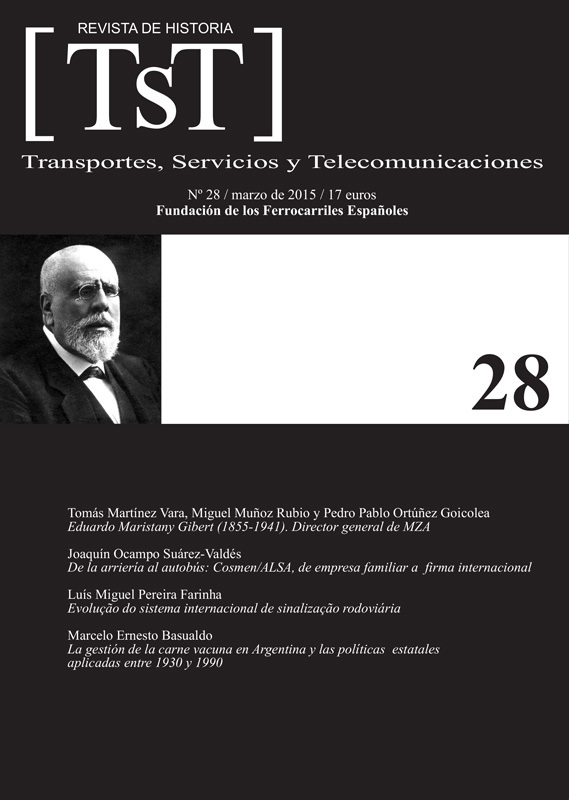 This paper seeks to provide a perspective of the evolution of road signs and signals system, based on the analysis of its most significant instruments, showing how the rules adopted at all times contributed to the structuring and consolidation of the same system.